In our daily search at People for Research for shareable content for our social media channels and blog inspiration, we recently came across two very different points of view on technology and robotics that attracted the interest of our Twitter following. If, on one side, social anthropologist Dawn Walter wrote that “Technology doesn’t need to change. We do”, on the other side, Don Norman, director of the Design Lab at the University of California, wrote about how bad technology is dominating our lives. Can we make sure that technology stays on course if we build if for everyone, not just for a selected group? We believe so, but we also believe that can only be achieved by including representative groups of users at a product’s research and testing stages. This is a particularly relevant topic for us, with the South West – called the Silicon Gorge for a reason – currently being one of the main tech and robotics hubs in the UK. Techspark.co wrote an article last year listing 13 cool robots being developed in the South West and some of them are mind-blowing: the fully functional and customised bionic prosthetics created by Open Robotics; the combination of new 3D technology with artificial intelligence to change the way we explore the sea by Rovco; or the Row-Bot, a self-sufficient bot developed by the University of Bristol and the University of the West of England that uses micro fuel cell to power itself. 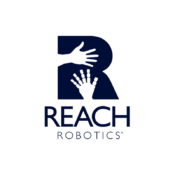 And let’s not forget Reach Robotics, with whom People for Research worked recently to find users to take part in usability testing sessions. Since closing a successful round of investment last year, the Bristol-based company has been working hard to perfect and market their products, with a focus on the MekaMon, the world’s first gaming robot. We recently spoke with the team at Reach Robotics to find out more about the future of gaming, robotics and the need to involve real users to create great products. What’s different about MekaMon to other gaming platforms out there? MekaMon is a robot like no other. The world’s first true gaming robot, MekaMon competes in intense real-life battles and single player augmented reality combat. Controlled entirely through your iOS or Android smart device, MekaMon introduces a unique hybrid of virtual and real-world play through next level robotics, gaming, and AR. 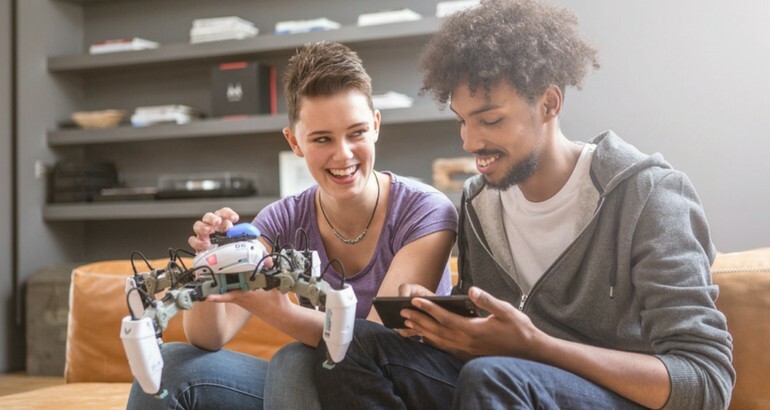 How does user testing help Reach Robotics? Because MekaMon is a cutting-edge product, there aren’t many precedents for it. This means that testing is important so we can understand how different users engage with and experience MekaMon. There are lots of different types of users who are interested in it: families who want to game together, people who love to explore new technology as well as gamers who are looking for the next level gaming experience. Testing allows us to understand how these different audiences interact with, and want to use, the different functionality and experiences that MekaMon offers. MekaMon testing is probably one of the most fun testing sessions participants can have! They get to come along and explore the product’s different features. Sometimes they might be testing improvements to one of the single player games, other times we might be getting them to play with other people and use the multiplayer features. What are you looking to gain from participants during the sessions? From the sessions we want to gain insight into how different users experience MekaMon, what they find most interesting and fun, as well as any challenges they face in getting the most from it. Because MekaMon offers a lot of functionality and combines a mobile app, different gaming experiences and the physical robot, there’s a huge range of interactions that we can test. The main thing is to get insight into how we can make MekaMon the best it can be for our customers. Have you changed anything as a result of feedback from users? We’re always working hard to make MekaMon the very best it can be, so we’re always testing new experiences. We’ve adjusted lots of things based on user feedback; this ranged from tweaks to the mobile interface through to improving the ways that users learn about the different functionalities it offers.